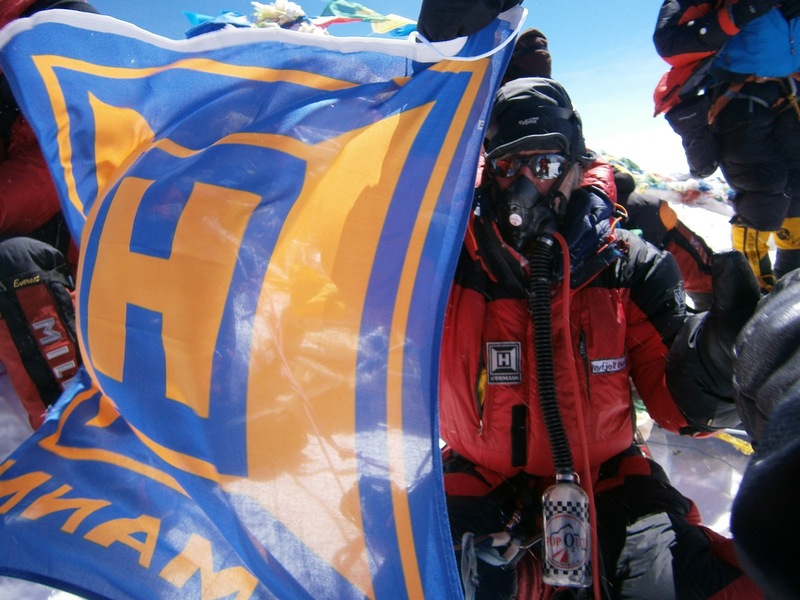 Earlier this year the MD of Hörmann's largest reseller in Norway unfurled a Hörmann flag on the top of the world as he fulfilled his dream to climb Mount Everest. 54 year old Arvid Lahti is a passionate mountaineer and has scaled many peaks over 16,000 ft including the Cho Oyu the world's sixth highest peak at 26,906 ft. However the challenge and danger of an ascent of Everest was always his goal. Sponsorship from Hörmann was a key part of the fundraising package needed for the two month trip. Acclimatisation at base camp prior to the climb is essential and the dangers are ever present. Only days before this ascent, two climbers lost their lives on the dangerous descent from the mountain. He blocked out the actual dangers of the journey whilst on the mountain. “It was only clear to us after we reached the bottom again that we had been in mortal danger each and every day. “This is a dream come true and I will remember it for the rest of my life. Reaching the peak of Mount Everest is the greatest experience for most mountaineers and standing at the top and looking out over the entire world is a feeling like no other,” he adds.